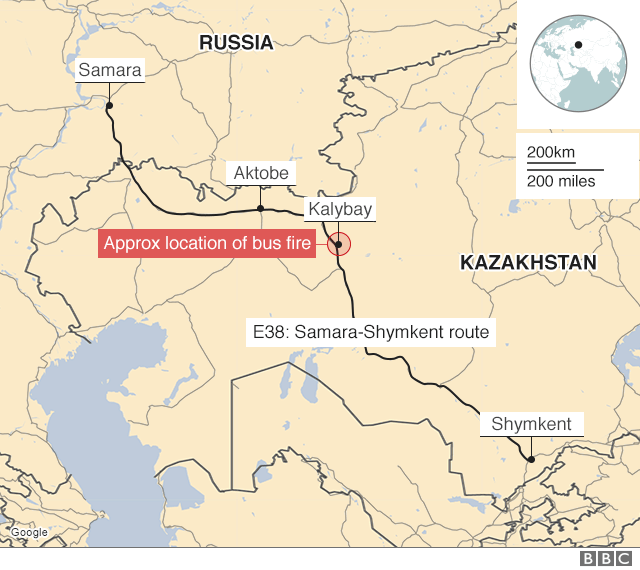 The route, which is about 2,200km (1,300 miles) long, is frequently used by Uzbek migrant labourers travelling to construction sites in Russia, observers say. One of the drivers said the passengers were Uzbek nationals and the vehicle was registered in Kazakhstan, ministry official Ruslan Imankulov told AFP. He said the blaze spread very quickly through the Setra bus.